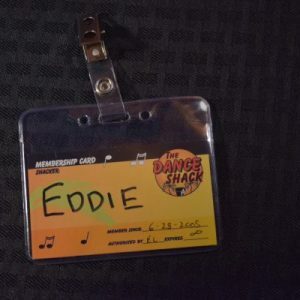 The Dance Shack Studio – Learn Dancing for Clubs, Bars and Ballrooms – Salsa Swing and more! Imagine you see someone you’ve never met before, you take them (or get taken) out on to the floor, and rock their world! Everybody should be able to do that! And we’re the best dance studio to teach you how because we specialize in teaching people who have never danced before! Parties, clubs, beach festivals, cruises, weddings, heck, even listening to music in the house, dancing makes everything better! Forget Dancing with the Stars, this is REAL dancing, that you can do to any music, any place, any time. Salsa for a Latin night. Swing for a country bar. Hustle for top 40 club mixes. Don’t have a partner? Not a problem! You’ll meet the other members of our dance studio in our Courses, Parties, and Nights Out on the Town, making friendships that can last a lifetime! Now that’s really exciting! No contracts or pressure, either! Just fun! Want to try it out first? Try it for free! Come to a free Newbie Sampler Class! and get a sampling of our most popular dances. Then take a free forty minute Private Lesson in the dance (or dances) of your choice! If you like the free stuff, become a Member for just $99 (or $149 for a couple!) That gives you another forty minute Private Lesson, a two hour dance Course, and permanent membership into our club with special member prices! We’ll take you from beginner to being able to dance with anyone, anywhere, to any music on any dance floor, anywhere in the world! Give us a call at (904) 329-2946 to schedule your free Private Lesson or visit our Free Newbie Sampler Class and begin the fun, fabulous, life-changing world of dance! You will love it! If you’re interested in choreographed dancing for a wedding, please visit our sister studio, The Wedding Dance Studio, right next door! Visit the website at theweddingdancestudio.com! Call us (904) 329-2946 to schedule. Take your first Private Lesson free! Call (904) 329-2946 and get started! 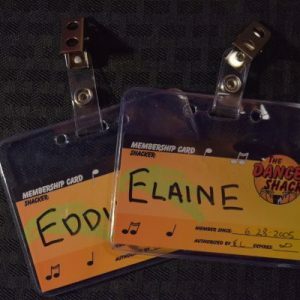 Live Big Band, Workshops & More! For the first time ever in Jax! Crescendo Amelia and The Dance Shack team up to bring you a day-long swing extravaganza!